For Whom Intended This course is ideal for individuals whose primary formal training is not in the field of electronic engineering. Individuals with training in electronics have found course 104/105 to be an excellent refresher. Electrical controls and electronics are incorporated in almost every technical activity, and all technical personnel have to deal, at least to some extent, with some aspects of electrical engineering. A basic understanding of electronics is essential to better perform their main function. Objectives To help participants to understand the concepts and terminology of electronics. It is not an in-depth electronics course but rather a course aimed at individuals who require an intensive review of basic principals, without the assumption of any prior knowledge of the topic. The course is fast-paced and as non-mathematical as possible. Brief Course Description The course covers basic concepts of electrical theory, starting with the simple DC circuit and Ohm's Law. It describes the basic components encountered in electrical circuits, such as resistors, capacitors, inductors etc. The course discusses behavior of inductors and gives examples of circuit theory, including LCR circuits and filters, also transient RL circuit analysis. Resonant circuits and their applications are covered. The basic theory of transformers and their various types: power, current, potential and transformers used in measurement systems are discussed, as are rectifier and filter circuits. Sinusoidal and non-sinusoidal waveforms are discussed as they apply to electrical technology. Instrumentation is covered next, including measuring devices such as ohmmeters and voltmeters, before covering polyphase circuits used in power distribution. Moving from electricity to basic electronics, we cover the theory of solid state electronics including semiconductor physics, diodes, transistors, FETs, thyristors and photoelectric devices. The course presents amplifiers, including the various applications of power amplifiers, negative feedback etc. This leads to the study of oscillators. The course then delves into digital electronics, discussing numbering systems and binary arithmetic and then examining primitive logic functions and Boolean algebra. An introduction to digital troubleshooting is followed by presentations on state diagrams, tables and machines, and on analog-to-digital and digital-to-analog conversion. Integrated circuits are discussed, along with memory and IC applications. The course concludes by looking at hybrid circuits. An appendix provides material for further study in related mathematics, including vectors, phasors, RMS and scientific and engineering notation. Additional material regarding Electro-Static Discharge is also provided. Related Courses TTi course 103, Introduction the Electronic Theory, is good for newcomers to electricity and electronics. TTi's open Course 104-3 omits the material on digital electronics. 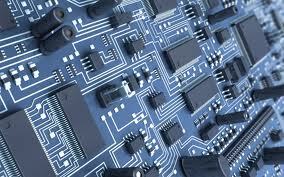 Course 105, Understanding Digital Electronics covers digital electronics in greater depth and with additional topics. The above courses, or any TTi course, may be presented on-site, at your facility. Diploma Programs This course is required for TTi’s Electronic Design Specialist (EDS), Electronic Telecommunications Specialist (ETS), and Mechanical Design Specialist (MDS) Diploma Programs. It may be used to satisfy the 104 requirement of the Dynamic Test Specialist (DTS), Instrumentation Test Specialist (ITS) or Metrology/Calibration Specialist (MCS) diploma programs. It may be used as an optional course for any other TTi Specialist Diploma Program. OnDemand Internet course 104/105 features over sixteen hours of video as well as more in-depth reading material. All chapters of course 104-105 are also available as OnDemand Internet Short Topics. See the course outline below for details.